The 2019 Smoky Mountain Film Festival! The Smoky Mountain Film Festival is a multi-genre film festival event founded in 2015 by Breaking Fate Entertainment. Our goal is to produce an annual film festival event in the Smoky Mountain Region, bringing independent media entertainment to the area and reward independent artists for outstanding works. 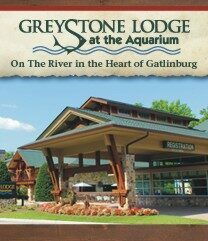 Our 2019 festival is scheduled for June 22nd at The Greystone Lodge in Gatlinburg, TN!